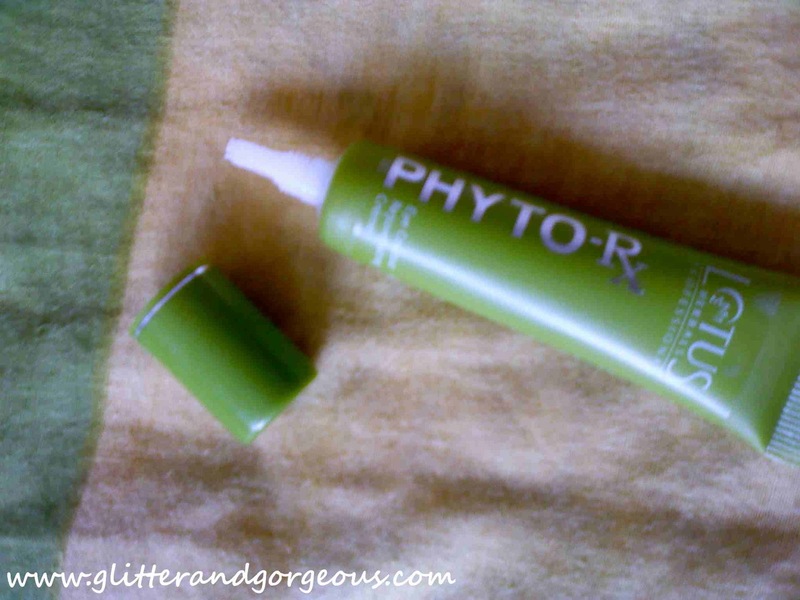 Lotus Herbals Professional Phyto-RX Eye Contour Rejuvenating Crème - Review! - Glitter & Gorgeous!! This time my post is related to under eye cream! As I have little dark circles so this product was suggested by my local parlor to use. The under eye cream comes in a sleek green tube with a nozzle tip. Thus easy to apply and you can take out required amount as you need. Required just one drop for each eye! Hydrolyzed wheat proteins & vitamin A.
Gently dab Phyto-RX eye contour rejuvenating crème around eye area (avoid getting the crème in the eye). 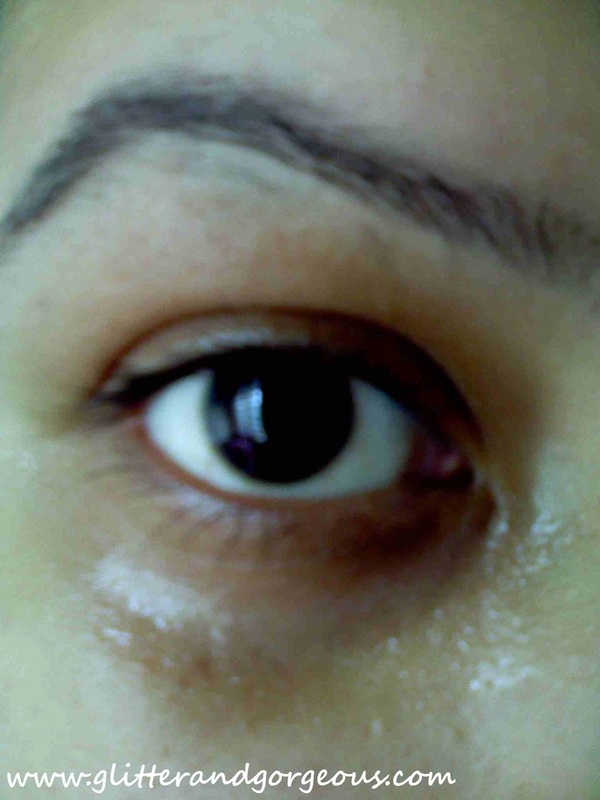 Gently massage using a light circular motion until it is absorbed in the orbital eye area. Can use under eye makeup or alone. Use regularly every morning & evening for best result. It is light in texture, white in color. Easily absorbed. Here I applied it on my eye. I am using this under eye cream for past one month and I must say that the product is really good.it fades my dark circles one shade .it requires so small in amount that being expensive it worth it as it last long at least two month if use twice a day. nice review, dear. Am always looking for a good under eye product.